Jewelry is a perfect way to celebrate a milestone in your life such as an engagement, the birth of a child, a birthday or even a graduation. For me, it’s the meaning behind the jewelry that stays with you forever. I remember when I turned 13 I really wanted my first fine piece of jewelry. I looked around and found a simple plain 14kt yellow gold ring with two amethysts. Even though my birthday is December, I really wanted purple gemstones as purple is my favorite color. My father ended up surprising me with this amethyst ring that I had been dropping serious hints about. When I opened the gift, you would have thought it was a $10,000 diamond just by my excitement! My father passed away a few years after giving me this gift but even when I look at this ring today, it makes me think of my father and it brings back lots of memories. The funny thing is that it’s not even the most expensive piece of jewelry I own. I find that with jewelry, it’s not necessarily the value of the piece in terms of money, but it’s the value of the piece in the memories that are created. Here at deBebians, we offer a variety of jewelry that can be given as a gift for any life occasion. 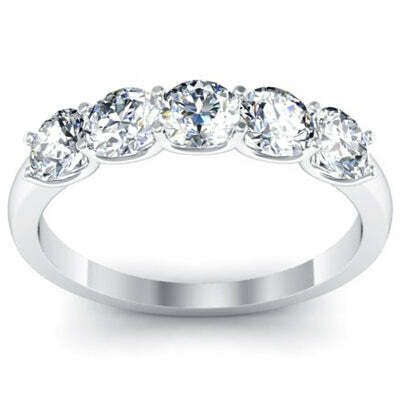 Our most popular items of course are our engagement rings. However, if you are seeking a gift for a birthday, anniversary, graduation or birth of a child, here are a few of my recommendations. A five stone ring can really represent any occasion. I picked this though because I think it’s a perfect birthday gift, anniversary gift or gift to represent the birth of your child. The five diamonds can each represent something different. 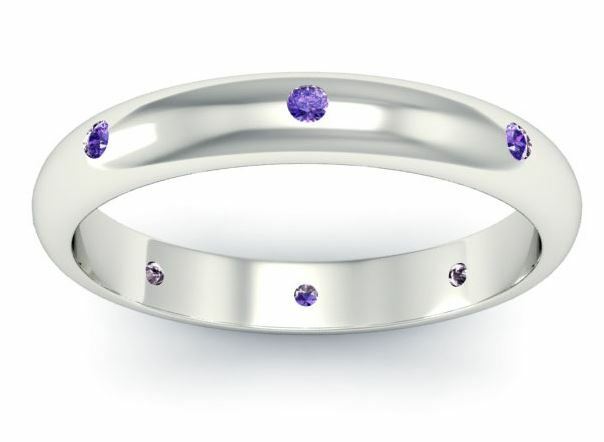 This beautiful landmark ring features eight bright amethyst stones in a 3mm domed plain band. You can give this as a gift for an anniversary or even any February birthday! Or in my case, a December birthday that loves purple! 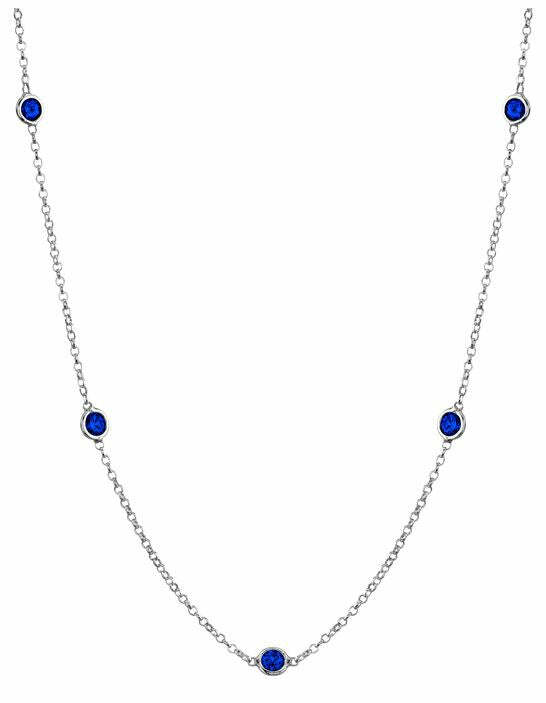 This sapphire station necklace can be worn by women of all ages. Go with a smaller carat weight perhaps for someone a little younger. This necklace makes a perfect birthday or anniversary gift! If you need assistance with selecting a gift for any life occasion or milestone jewelry for someone that you love, don’t hesitate to give us a call. One of our staff gemologists or jewelry designers would love to help guide you in selecting your perfect gift of jewelry with a memory behind to last a lifetime.